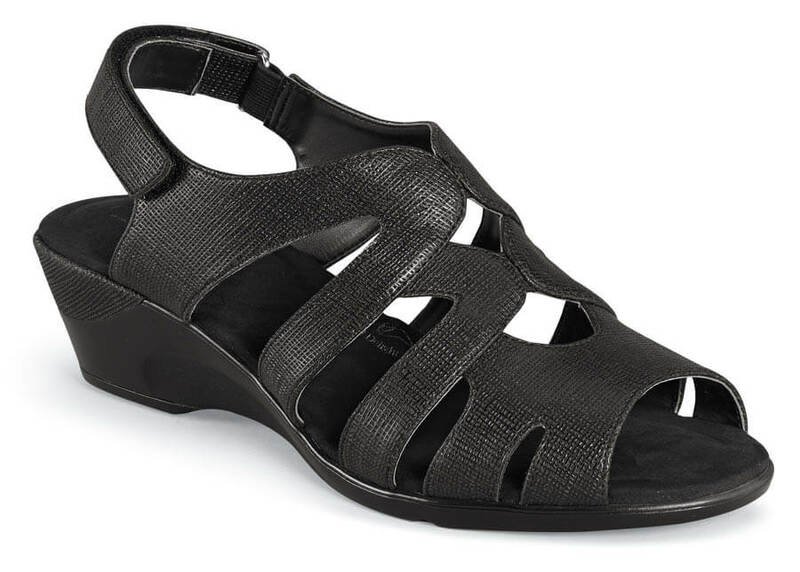 A two-inch wedge from the Hush Puppies’ Soft Style collection, the black “Patsie” sandal has textured man-made uppers with inconspicuous elastic gores at the instep and a fully adjustable heel strap. 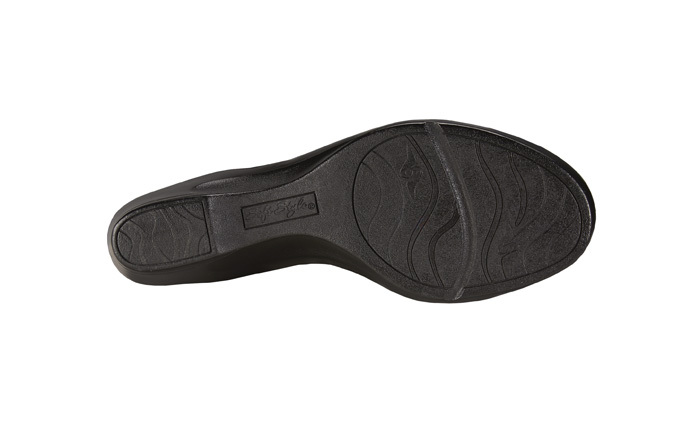 The microfiber-covered SoftDelightTM insole has extra foam cushioning under ball and heel for added comfort. Molded wedge sole with partial heel wrap. Originally $48.95. Limited stock in women's EW width in sizes indicated.